I had heard from several second time mothers that my nesting instinct might go by the wayside this time around since I have a toddler to chase after and that was true, for a while. 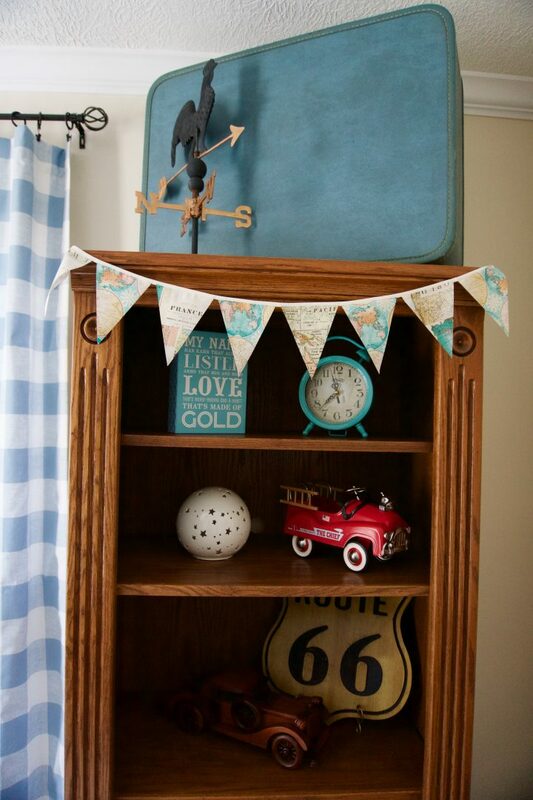 Once I hit the middle of my second trimester, however, I was in full blown nesting mode on the daily, driving my husband nuts with all my projects and all the organizing rampages I routinely went on. 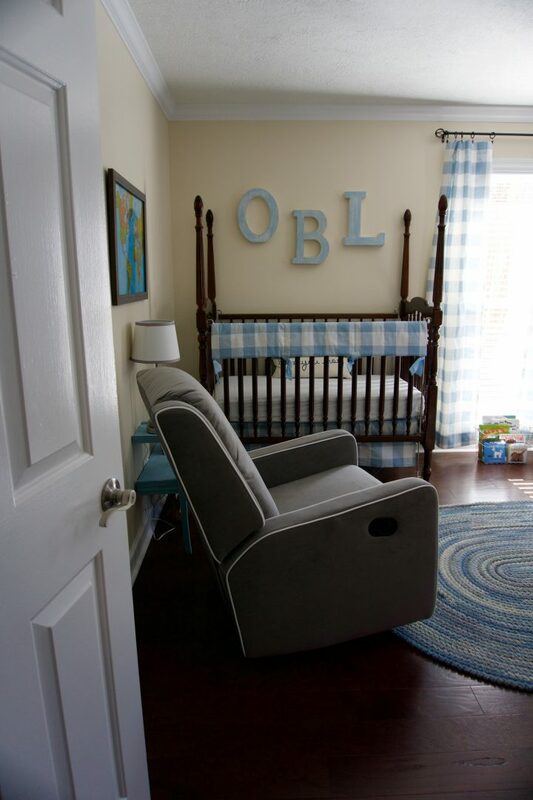 So when my parents asked if they could help with Ollie’s nursery we both enthusiastically said YES PLEASE. It takes a village, y’all. 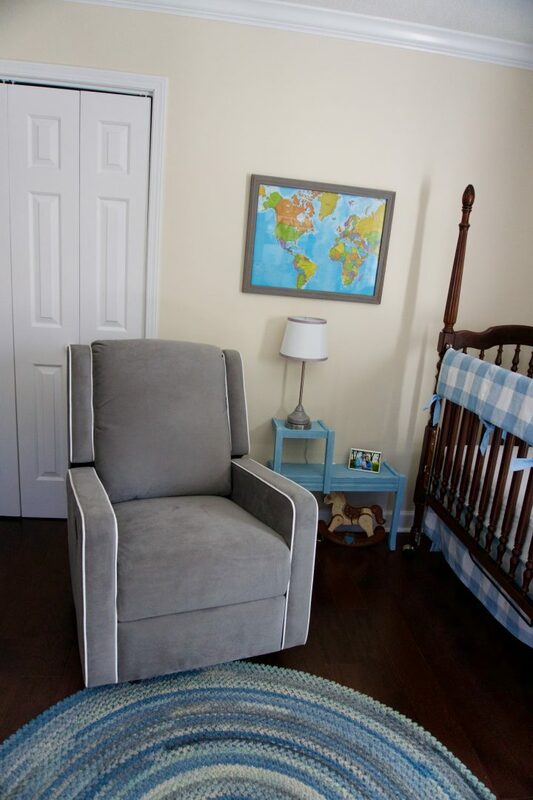 They designed Annie’s nursery after all, so we welcomed their Chip and Joanna-ness to help transform our office into the perfect spot for our baby boy. My only request? 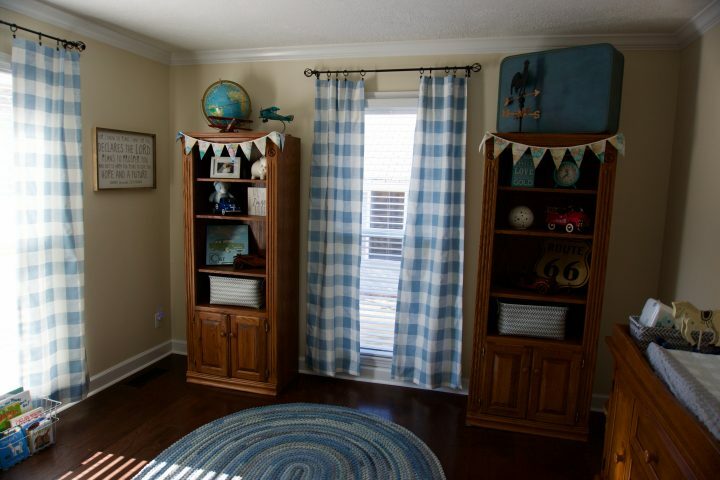 Cool, calming neutrals and baby blue buffalo checked something incorporated somewhere. They did a fantastic job and with the help of Annie, who was in charge of stacking all the diapers and wipes in their appropriate cabinet, they designed a space that yes, makes me weepy. I’ve been doing loads of tiny, blue laundry and as I put the onesies and blankets away I can’t help but say a prayer of immense gratitude for this season, this magical space, and the ones I love most who put it together. 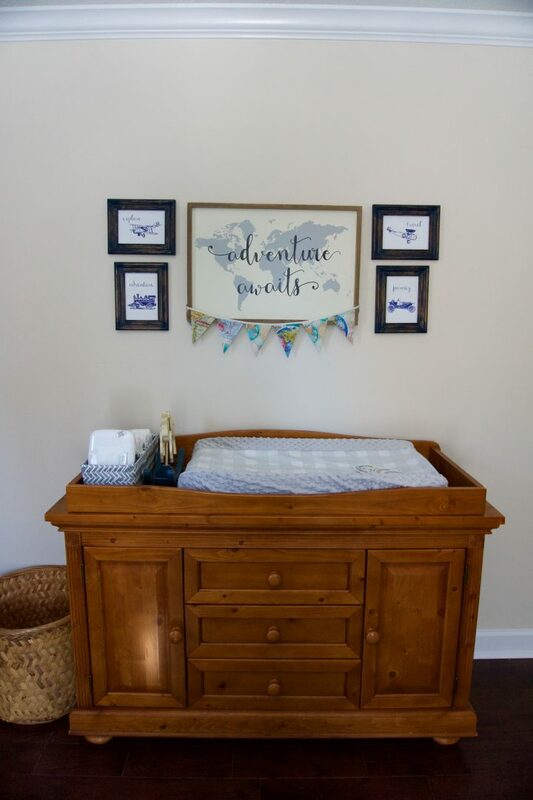 Adorable nursery for Annie’s little brother! !